At least two Oklahoma law enforcement agencies possess or have used a controversial device, shrouded in secrecy, to track and collect information from cellphones, an Oklahoma Watch investigation found. The devices, often referred to as “cell site simulators,” are controversial because they collect information not only from criminal suspects, but also potentially from scores of other surrounding cellphone owners who have no idea the data is being gathered. The Oklahoma Bureau of Narcotics and Dangerous Drugs has owned such a device for years but said it has never been used. The Oklahoma City Police Department has borrowed one from the FBI but refused to release any details about its use. Civil rights advocates argue the simulators, also called “stingrays” after the most well-known brand, pose a threat to privacy and are being used with little or no judicial oversight and no public disclosure. Nationally, local law enforcement agencies often sign non-disclosure agreements with federal agencies to not reveal the existence or use of these devices, thwarting efforts by civil rights organizations to monitor their usage. The devices sell under brand names such as StingRay, Triggerfish or Gossamer. A similar device, known as a “Dirtbox” from the maker’s acronym, is used in law enforcement aircraft during cellphone location operations. In other states, law enforcement officials have defended the simulators as valuable tools in fighting drug traffickers and gangs and in finding fugitives. Investigators are focused on gathering data from specific suspects, not on incidental calling data collected from other citizens, officials say. 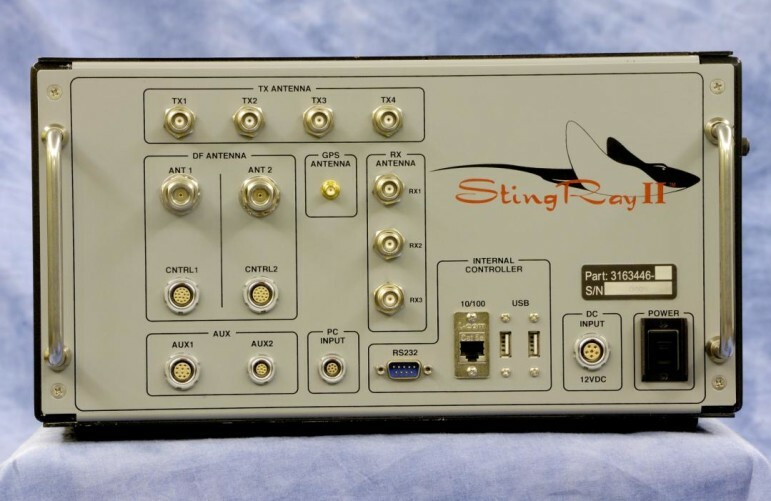 The Bureau of Narcotics told Oklahoma Watch that it obtained a StingRay device seven years ago, but has never used it because of legal issues. Bureau spokesman Mark Woodward confirmed the device was donated to the agency by a law enforcement equipment supply company. Prices for simulators can cost hundreds of thousands of dollars. Woodward said the bureau has not loaned out the StingRay to local law enforcement agencies. Capt. Paco Balderrama, spokesman for Oklahoma City police, said the department does not own a cell site simulator. On advice from its attorney, the department refused to provide additional information, including any other administrative documents not directly related to an investigation, such as requests to borrow the device. The attorney cited a law enforcement exemption to the Open Records Act. That section of the law, however, does not specifically exempt administrative records, such as agreements, expense records or personnel data. The Oklahoma County Sheriff’s Office, the Tulsa Police Department and the Tulsa County Sheriff’s Office said they do not own and have not used a cell site simulator. Maj. Luther Breashears, who oversees Tulsa Police Department’s special operations team, said he was unfamiliar with the device. The FBI and U.S. Marshals Service denied Freedom of Information Act requests by Oklahoma Watch seeking information about which Oklahoma state and local agencies own or have borrowed the device. A cell site simulator works by tricking nearby cellphones, computers with certain types of wireless Internet connections and other devices into thinking it is a cellphone tower. The devices can be carried by hand or installed in vehicles or aircraft. The simulator can obtain a phone’s unique identity number as well as metadata such as numbers for calls dialed and received, call duration, text and voice messages and phone location. The devices also may allow authorities to listen in on incoming and outgoing calls and text messages. However, according to an electronic surveillance guide prepared by the U.S. Justice Department in 2008 and obtained last year by the ACLU of Northern California, special guidance should be sought from the Justice Department before the device is used that way. John David Luton, Tulsa County assistant district attorney, said that while he is not aware of the device being used in his county, it could be a valuable tool in tracking down fugitives or suspects and assisting in cases such as a missing child with a cell phone. “I think it sounds like it would be a good tool, a useful tool,” Luton said. Releasing information about the device could allow criminals to take countermeasures that would undermine its investigative function, he said. The devices are often used in drug investigations, but sometimes have been deployed at protests and rallies, such as protests in Baltimore over the police-custody death of Freddy Gray in 2015. A key issue raised by privacy and civil rights advocates is that StingRay-type devices are often used without a search warrant. Courts have ruled that under the Fourth Amendment, authorities must have probable cause to get a warrant to conduct a search or wiretap a phone. A U.S. Supreme Court ruling in 2012 extended the requirement to attachment of a GPS surveillance device to suspects’ vehicles. By contrast, law enforcement agencies can get a historical record of a person’s cellphone or landline calls from phone companies using court orders issued under “trap and trace” and “pen register” laws. The data can show the person’s approximate or specific GPS location. Under Oklahoma law, which is modeled after federal law, such orders only require that an officer provide “clear and articulable facts” and certify that the information gained will likely assist in an ongoing investigation. Probable cause isn’t required. Law enforcement agencies nationwide have relied on such orders to deploy StingRays. In a recent D.C. Court of Appeals case, civil rights advocates argued that a search warrant should be required for simulators. The devices, advocates say, essentially act as an electronic dragnet because they connect not only with the target phone but the phones of others in the surrounding area. It’s unclear how quickly and frequently officers obtain that data – whether minutes, hours or days. In at least one case in 2012, a federal judge in Texas denied an application for a pen register order to use a StingRay. Use of the devices is cloaked in secrecy partly because of the law. Unlike a search warrant, most trap and trace/pen register orders do not require authorities to later notify the owner of the targeted device. The orders also bar a cellphone company from notifying a customer that a law enforcement agency has obtained their information. In addition, the law requires that the judge immediately seal the application and order. Only a judge can later unseal the record. Henderson, of the ACLU, said his chapter suspects the devices have been deployed in Oklahoma but has not found concrete evidence of their use. Whether going directly to phone companies or using cell site simulators, Oklahoma law enforcement agencies seek hundreds of court orders a year to acquire phone calling data. A search of records for 27 counties in the state court data system showed that from Jan. 1, 2013, to April 5, 2016, law enforcement agencies in eight counties submitted at least 1,293 requests for trap and trace or pen register orders to acquire phone use data. About 84 percent of the requests were in Oklahoma County. Source: Oklahoma State Courts Network. In reviewing hundreds of trap and trace orders issued in several Oklahoma counties, Oklahoma Watch was able to find only one that a judge unsealed. In that case, the court clerk’s office said the order was unsealed only for a defense attorney representing a client in a related case. However, Oklahoma Watch found some court-sealed orders that apparently were inadvertently filed publicly. Most sought historical cell-phone data from phone companies to confirm a suspect’s location during the commission of a crime to identify a cellphone’s owner. Other orders were sought to locate a suspect not yet arrested at the time of the filing, and they said technical assistance from a federal agency, such as the U.S. Marshals Service, would be used. The technology was not identified. 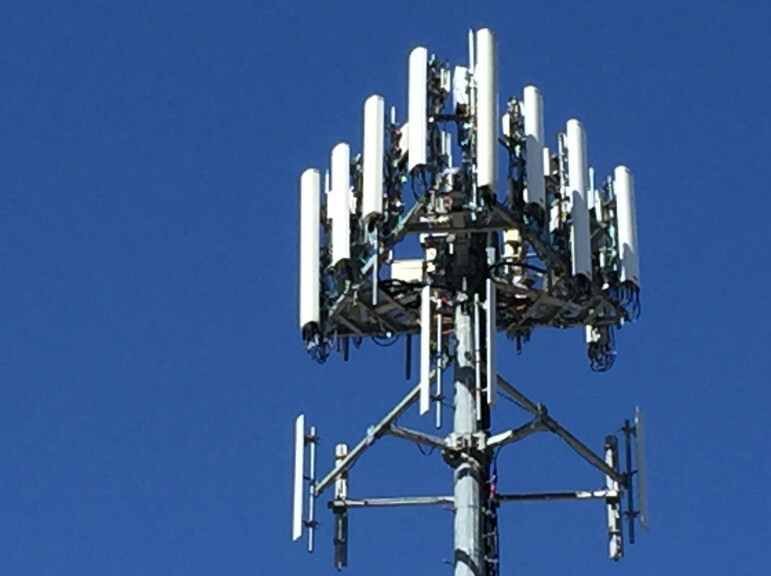 In one of those cases, a defense attorney, Douglas Parr of Oklahoma City, said he believes a cell site simulator was used to collect his client’s phone data. The client is charged with drug trafficking. During a hearing in Oklahoma County District Court in September 2015, Parr asked an Oklahoma City police detective whether a simulator had been used. The detective, who had requested the order, testified that to his knowledge such a cell site simulator had not been used. Testimony in the case shows the officer did not file for a trap and trace order with the court until the day he testified in September – more than a year after he conducted the surveillance. In that September order, a judge determined the detective had demonstrated probable cause, but the order was labeled not as a search warrant, rather a “clear and articulable facts order” – language typically used for a trap and trace order. Parr said the use of such technology and the secrecy involved is worrisome. • At least three states – Washington, Utah and Virginia – have passed laws requiring authorities to get a search warrants before using the device. • In September 2015, the U.S. Justice Department issued new guidelines that require its agencies, such as the FBI, the U.S. Marshals Service, and the Drug Enforcement Administration, to obtain a warrant for most uses of cell-site simulators. The guidelines apply to local and state law enforcement agencies that borrow the devices from federal agencies, but not to those that own the devices. • In November, U.S. Rep. Jason Chaffetz, R-Utah, introduced a bill known as the Cell Site Simulator Act of 2015 that would prevent law enforcement agencies from using StingRays without a warrant. The bill has not been heard in committee.